In a beautiful setting overlooking the Atlantic Ocean, visitors to the Ocean View Restaurant can enjoy cuisine of a quality that is matched only by the high levels of attentiveness given to preparing it. Our dishes promise pleasure-inducing flavors that have been extracted from the best of local produce. Had afternoon tea. Delicious food and fantastic service. Afternoon tea was really good and the staff could not have been nicer and more accommodating to us. The Trump Resort at Doonbeg is fantastic. Everyone is so nice and friendly. Our suite was vwey comfortable and inviting - it felt like home. The Oceanview restaurant has great food and a wonderful selection to choose from, great service, and the view of the ocean is amazing. 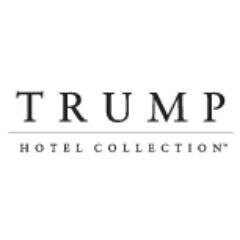 The Trump Bar and Restaurant is fun and exciting and they also have great food and service. We had our vow renewal ceremony in the courtyard and it was wonderful. We will come back again and stay a little longer next time to enjoy all the amenities the resort has to offer. Where magical atmosphere meets exceptional service!! Amazing dinner experience. Food was exquisite. Service was fantastic. Thanks to all for making it a perfect dinner. First of I have to say the Duty manager was 100% & a you local lad in the bar was top notch. The service in the Ocean restaurant  wasn’t very good. We had finished our main & drinks for 30 minutes, after which I got the attention of a staff member. We had a mix up checking out & a hicup checking in. In fairness the duty manager sorted out our check in issue. I tripped a few times going back to our court yard suit, donto cables & poles on the ground from a Christmas market. Over all friendliness of the ground staff isn’t really there. I doubt we’ll be back. Staff were very helpful & friendly. Food was delicious. The brown soda bread was sooo soft & tasty. Two of us would have liked more savoury sandwiches & less cake! But we were all stuffed & satisfied after the amazing Afternoon Tea. The Christmas Tree was amazing & the view was spectacular. Table looked beautiful, children's afternoon tea was so delicious and a great variety of treats. I would have liked if the coffee was served in a coffee pot. Staff were very friendly and nothing was a problem for them - there was 16 of us and we all  had a lovely relaxing time. Got a little bit chilly later in the afternoon. Looking forward to coming again soon. Presentation of food was in keeping with modern trends unfortunately flavour appears to have been forgotten. Dover sole was outstanding, as was the lamb entree. The breakfast pancakes weren’t so good though. Overall very good. We had a wonderful stay. Just a beautiful place with a fantastic atmosphere. Exceptional food with our table looking out onto the Atlantic. A very memorable dining experience. This is a beautiful restaurant with amazing views and great food. The service is impeccable. My only negative feedback is that there was a large group in the restaurant that night that got quite loud and rowdy, would be nice if those groups would be put into a separate room as it took away from our quiet evening. First of all, we were seated and couldn't get a server to come to our table for about 10 minutes. We ordered wine, our server brought the bottle & corkscrew, set them down and left. We waited another 10 minutes, and ended up opening our own bottle. They decided to give us a new waitress at that point, and things got better, but overall, the service was terrible. We are used to multi course high end meals and usually do 4 or 5 a year. This was probably our least favorite. The food was decent, but didn't blow me away. Secondly, we sat and waited for the bill for maybe 25 minutes. I even asked for the bill after the husbands decided to leave and go to the members bar - they'd had enough waiting around. After another 10 minutes, the bill still wasn't there so my friend and I went to the front desk and told them we would be in the bar and asked if they could bring it there. They came shortly after with the bill. My husband and I had the most fabulous time. Our room was fab and the bed and pillows were amazing! We had dinner in the Ocean view restaurant, it was the BEST meal we've ever had in Ireland. Breakfast on Sunday morning was delicious. All the staff we met were so friendly and always smiling. We couldn't fault one thing and will definitely be recommending your hotel to all our family and friends! Maurice and I had a wonderful stay. It was a gift from our children and it was a great treat. We couldn't recommend this hotel enough. The staff were so accommodating and helpful. The breakfast was excellent and dinner very relaxing and enjoyable. We will definitely return. Really enjoyed the stay with very welcoming staff. Fantastic value. Afternoon tea was exceptional! Coffee great!